By Cassandra Clare, published by Walker. 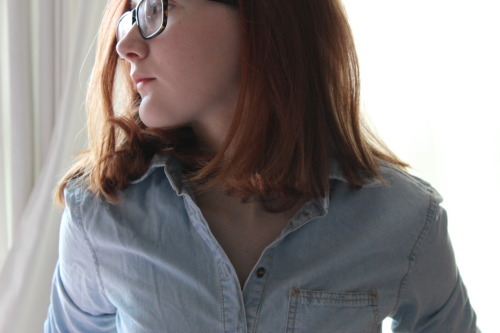 Goodreads synopsis: What price is too high to pay, even for love? When Jace and Clary meet again, Clary is horrified to discover that the demon Lilith’s magic has bound her beloved Jace together with her evil brother Sebastian, and that Jace has become a servant of evil. The Clave is out to destroy Sebastian, but there is no way to harm one boy without destroying the other. As Alec, Magnus, Simon, and Isabelle wheedle and bargain with Seelies, demons, and the merciless Iron Sisters to try to save Jace, Clary plays a dangerous game of her own. The price of losing is not just her own life, but Jace’s soul. She’s willing to do anything for Jace, but can she still trust him? Or is he truly lost? My review: Wow! Out of all of TMI’s books, this one has definitely had the best plot. I absolutely loved the idea, and I think that the events played out really well. The idea of Jace getting ‘brainwashed’, in a way, by Sebastian, made for a really great book because it was really only the first complication in Jace and Clary’s relationship, after City of Ashes. I think that, towards the end, it made them a better couple as they had been through that shocking thing together and it made them closer. This installment was definitely much more fast paced, in my opinion, and there was a lot more going on. My only problem with that? The romance seemed to be taking over at parts. I was ecstatic to see that Isabelle and Simon, Maia and Jordan, were getting closer, and I think that their relationships developed well throughout the book, but it seemed to be taking over the action a little in places. Clary still remained a strong protagonist. Her personality was just as great as it was in the previous TMI books, ad I adored her determination. She stuck with Jace all through the book, trying to save him, and I really liked that courage in her- because Sebastian could easily have made Jace kill her if she wanted, and yet she still strived to stay by his side. What I didn’t quite understand, though, was why she kept no contact at all with the rest of the shadowhunters, Simon, and Magnus Bane. At the beginning, she just left, and didn’t tell anyone why she was going or for how long, she just told Simon she was going to find Jace. If I were her, I wouldn’t have done that, because it left Magnus, Simon and the Lightwoods to work out what was going on themselves. Finally, Sebastian. He definitely changed in this book and I’m still trying to get my head around it. He made an amazing (in a bad way, if that makes sense) antagonist, because he was ruthless and heartless. In this book, however, he underwent a massive change and seemed to become a kinder person who was trying not to become his father. Tat gave me really mixed emotions abut his character, because it gave off a sense of mystery and really made me want to read on to find out what his aim is. 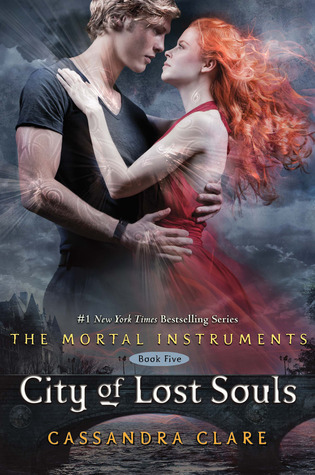 Overall, City of Lost Souls was another brilliant read by Cassandra Clare. The plot was very different to past TMI books. but I loved the twists and turns in it that kept me on the edge of my seat. A lot of relationships, like the one between Magnus and Alec, were clearly portrayed and I understood them really well. I don’t know how she managed it, but Cassandra has managed to pack four relationships and their dilemmas and one action packed plot with many twists, into one book! I absolutely loved it, and now I’m impatiently waiting for the release of City of Heavenly Fire, next year! I received this book as a birthday present from family. This entry was posted in Uncategorized and tagged fantasy, romance on May 6, 2013 by keithbwalters.